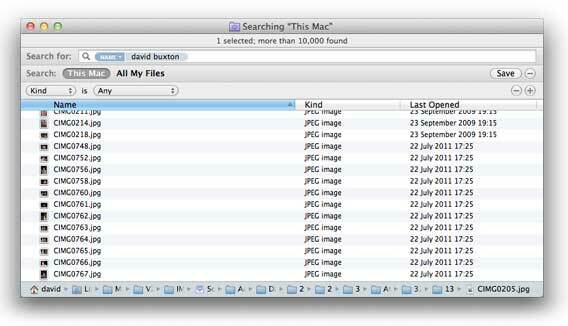 Note how none of the files in that list has a name containing the text “david buxton”. Perhaps deleting the Spotlight index would fix things. Meh. This entry was posted in Blog and tagged mac, spotlight on 1 August, 2011 by david.